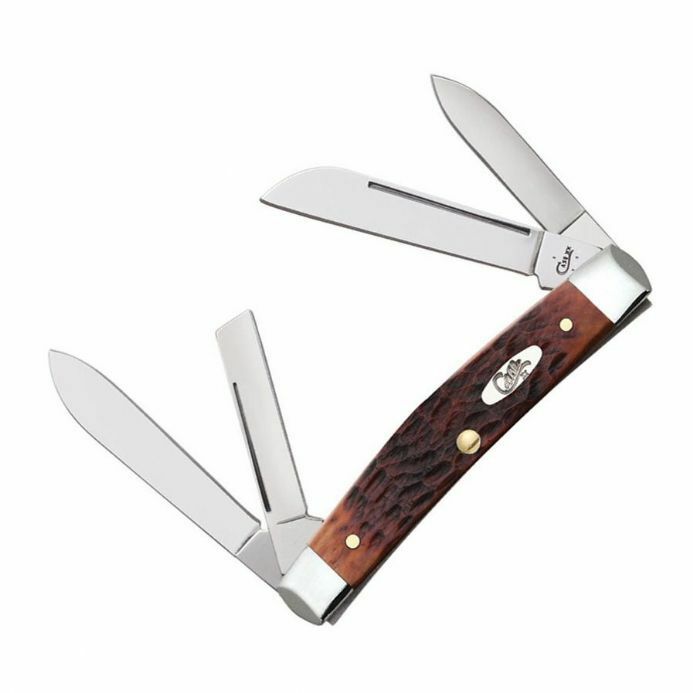 Case Medium Congress Pocket Knife, CA07017. Measures 9.2 cm (3.5 inches) closed, chrome vanadium steel blades, 7.5 cm (2.9 inches) main blade. Nickel silver bolsters, brass handle liners, chestnut bone handle scales.